Extreme thrill-seekers should mark China as their next destination. The bungee jump installed in China’s Zhangjiajie Grand Canyon is set to be the highest platform in the world, at 850 feet above the ground. 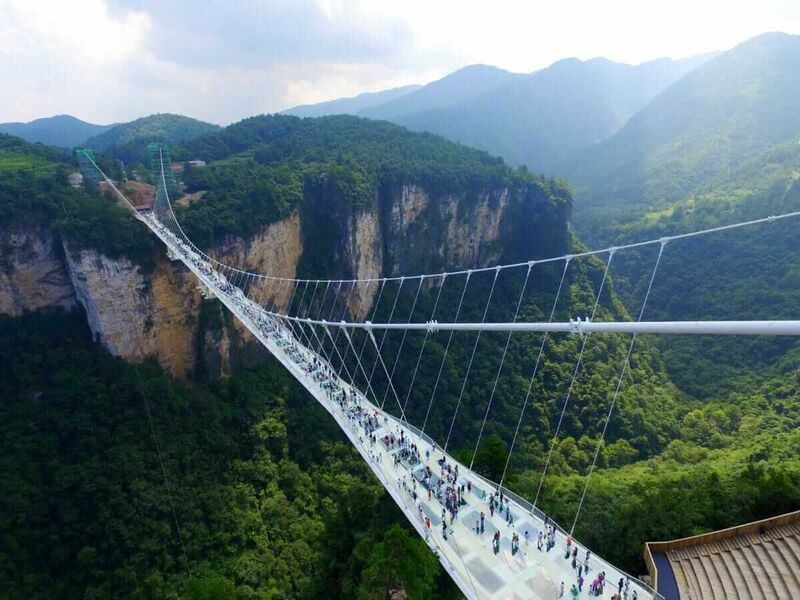 Attached to the deck of a glass-bottomed bridge, the platform is 75 feet higher than the platform on Macau Tower (also based in China), which is the world’s current highest commercial bungee jump. To make the experience even more extreme, Bungy China is also thinking about adding a giant swing and zip lines to the bridge. The company owner, Beau Retallich, holds a Guinness world record for performing 158 outdoor bungee jumps in 24 hours. The jump will open to the public following safety checks from Chinese authorities, but as of right now there is no set date. To find out more about the jump, visit Bungy China’s website.